Thank you for visiting our site. 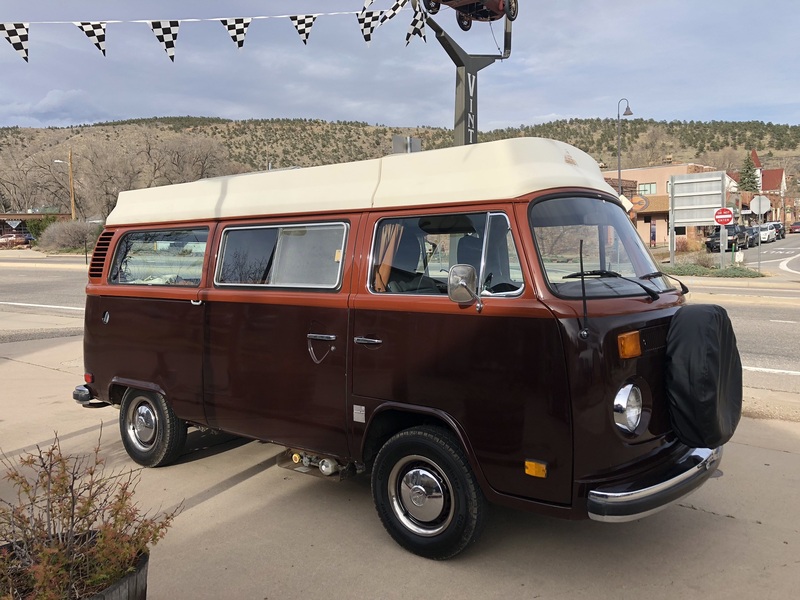 We specialize in sourcing and selling good, local Colorado and Western vehicles that benefit from not having the rust issues typically found in older vehicles from many other areas of the country. Many of the cars we sell are original owner, or long time local owner, cars. 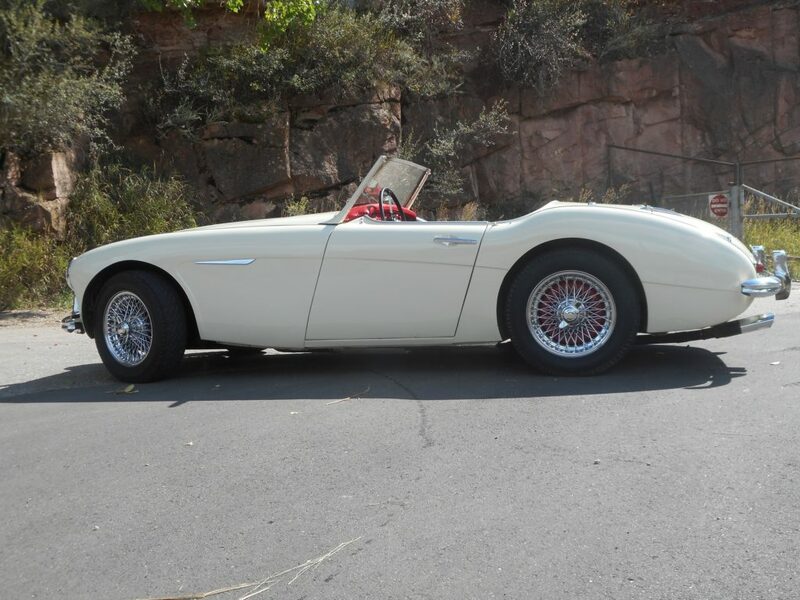 We hope you enjoy looking at the cars we have for sale on this page as well as the other cars posted throughout the site. We have successfully sold many vehicles on consignment and would be glad to speak with you about professionally marketing and selling your vehicle. We also locate vehicles, provide appraisals and State VIN Verifications, arrange pre-purchase inspections and are glad to assist you by recommending the specialty repair and restoration shops that we’re familiar with in the area. We invite you to please stop in anytime you’re in the area to say hello, hangout, talk cars and check out our current inventory of vintage cars for sale. Pickup a free shop sticker; browse the car art and memorabilia on display and for sale, along with numerous car books in our free lending library. We also have cool shop T-shirts for sale so folks will know you’ve been to Lyons and have good taste to boot! 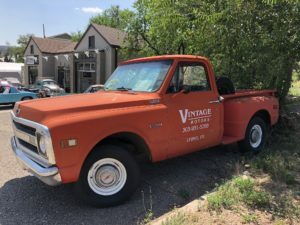 We look forward to helping you with your purchase or sale of a vintage car, truck or motorcycle and to meeting you at our shop in beautiful Lyons, Colorado. Please contact me anytime and thanks again for checking out Vintage Motors of Lyons. PS: You may find testimonials about us from many of our purchasers and consignors on the “Cars We’ve Sold” page. Paying It Forward: We believe in supporting our local and worldwide communities and are glad to make a donation from us in your name to the non-profit of your choice as well as a second donation from us to one of our local Lyons non-profits/charities with each sale. Please Note: The “fine print”: All advertised prices include title, transfer docs. and 60 day temp. tags for in-state buyers; otherwise there is a $ 200.00 charge for same to in-state buyers to cover our costs. Any applicable in-state sales taxes are additional cost. Out of state or foreign buyers please inquire. We are experienced, and are glad to assist you, with shipping cars worldwide. 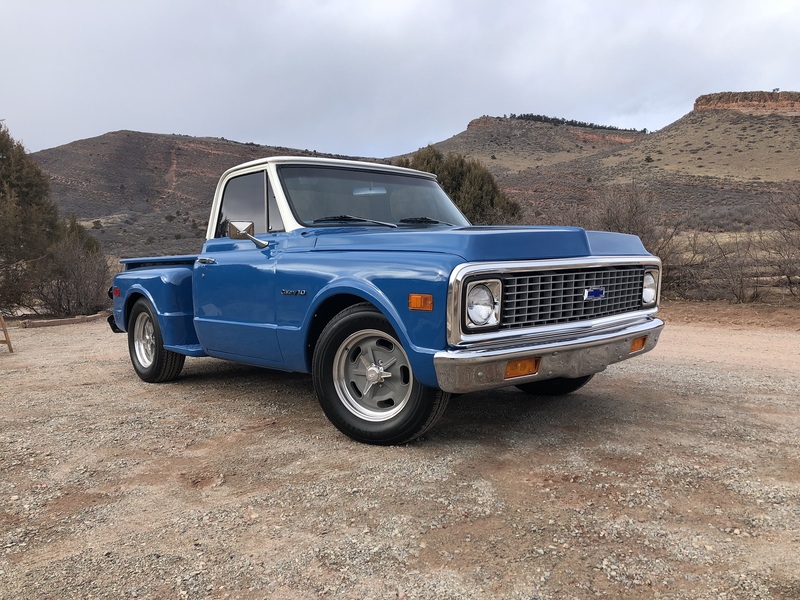 1970 Chevrolet C10 Shortbed Stepside Pickup For Sale It is time for us to let our shop truck go to someone that will use and drive it more than we do! Very stock, un-molested local truck (sold new in at Roth Chevrolet in Lakewood, CO) wearing its original Light Red paint. Much new mechanically; it is a great running and driving truck. There is rust in the cab corners, the right rocker, a spot in left floor and small spots where the running boards meet the rear fenders but the chassis and door bottoms are very good along with the rest of the body (no critical rust anywhere); have new steel replacement panels to go with it if you care to make those repairs in the future. Very good interior with rare radio delete plate. 250 cu in / 155 hp straight six; manual 3 speed on column. New tires. Original owners manuals; good records. Call me for full details. $ 11,750.00 OBRO. 1978 VW TYPE 2 CAMPER BUS Just In! 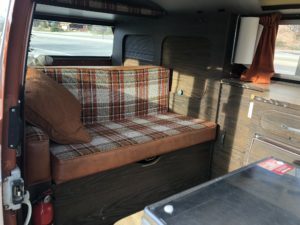 Full camper, classic bus in very good condition. Price soon, please call to see before its gone! CARS COMING: We like to let folks know of cars coming in next. I’ll be posting details and prices after I have them sorted and ready for purchase. Please feel free to contact me about them in the interim if you like; thanks. 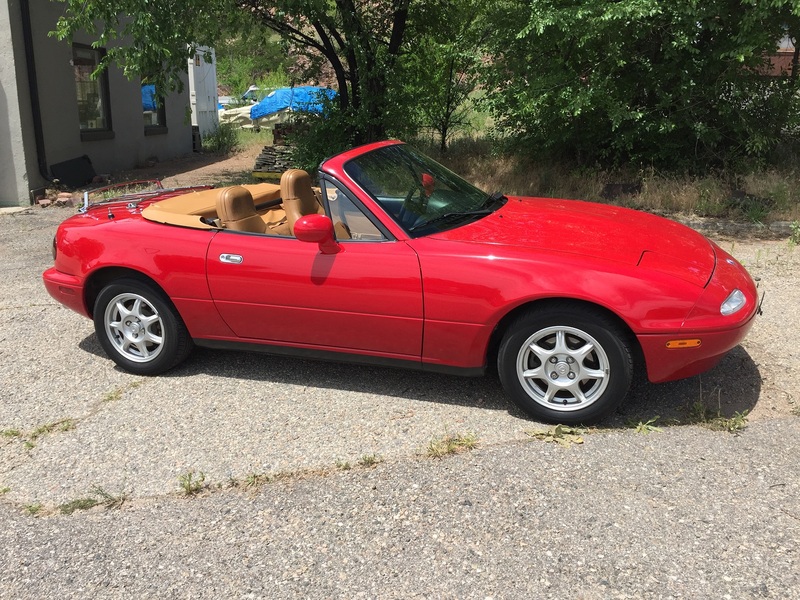 1994 Mazda Miata Very nice, low mileage, local car with AC! 1953 MG TD Excellent example, body-off restoration, of this last year of production iconic MG. Red with Biscuit interior and top. 1962 Porsche 356B T6 Super 90. Rare car! 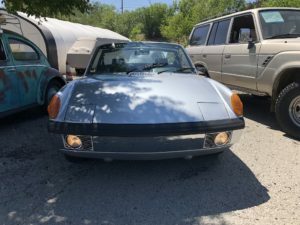 1974 Porsche 914 2.0.Very good driving & looking car. Silver w/Black interior. COA; much new. 2006 Porsche Boxster. Local,low mileage car in excellent condition. Artic Silver Metallic with Stone Grey Leather interior – beautiful car! 1958 Willys CJ6 with full metal hardtop. 1971 Chevrolet C10 Short Bed Step Side Pickup For Sale. This pick up has received a very tasteful resto/mod by its owner of the past 20 years. It has a great level stance and runs, drives and sounds just right! 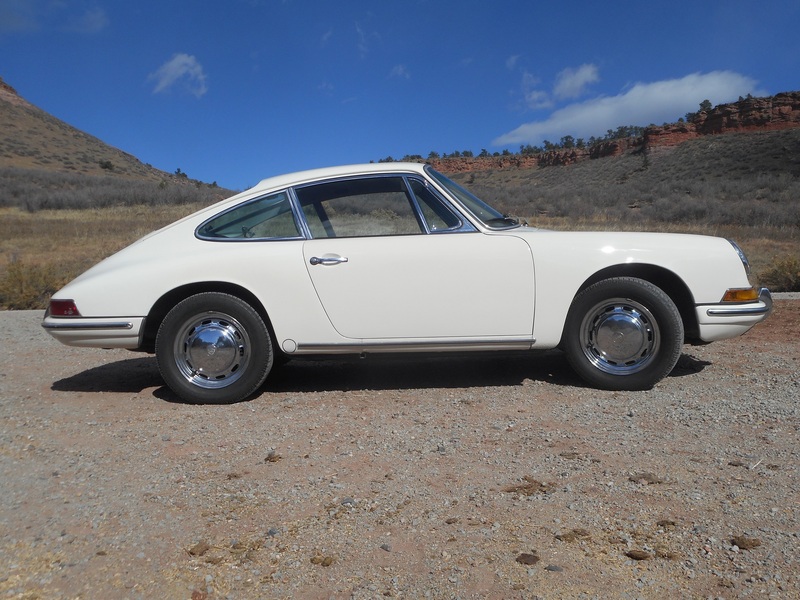 1967 Porsche 912 Five Speed Coupe For Sale. This is Porsche # 462950; built June 14, 1967. It is finished in its original color combination of Light Ivory (#6604) with Black Leatherette Interior. As verified by the COA from Porsche included with the car, it is a matching numbers car with its original engine and transmission. This 912 is very well sorted and tuned. It is an absolute pleasure to drive! One may experience how well balanced these cars are and how much fun they are when driven at speed; comfortably and safely. Having owned an early 912 myself for many years, I can say that it is quite satisfying and fun to drive these cars near their limits on daily roads. The proportions and lines of these early short wheel base cars are very pure and look and feel just right too. I believe that Porsche enthusiast Jerry Seinfeld summed up the 912 nicely in just five words: “Lighter, more agile, cooler image”. 1973 Porsche 914 For Sale We are very pleased to offer this beautiful, excellent condition 914 for sale. 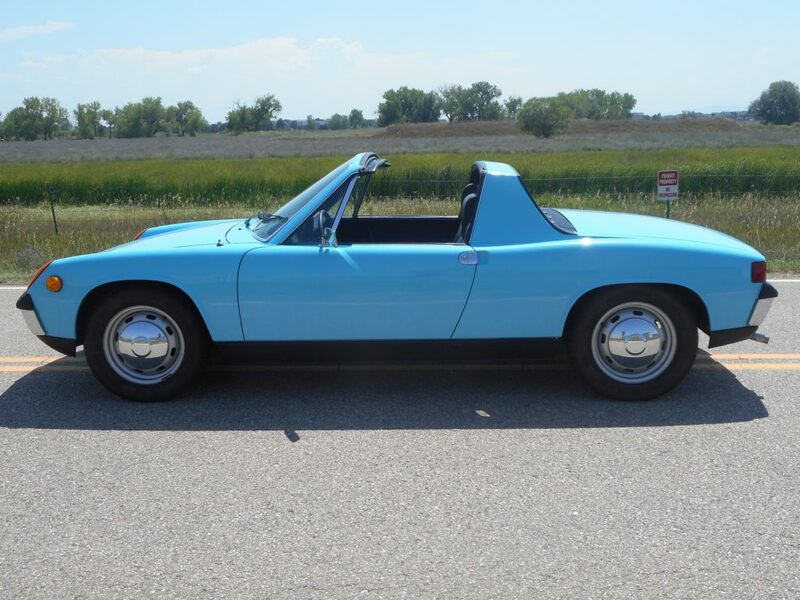 This is the best example of a 914 I’ve seen since my friend bought a new one in 1969! 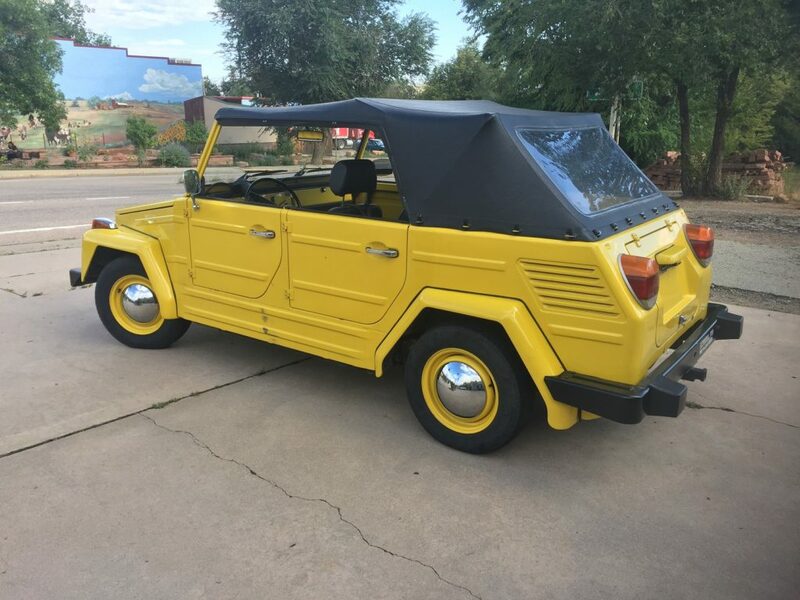 Truly a very original jewel of a car. This is Porsche 914 # 4732909455. It is finished in Olympic Blue (L51P) and is sold with a clear, actual mileage Colorado title having but 65,186 miles. The car was purchased from its original owner just this past year. If you’re looking for one of the finest examples of a Porsche 914 for your collection and driving pleasure please contact me about this one! Thanks. 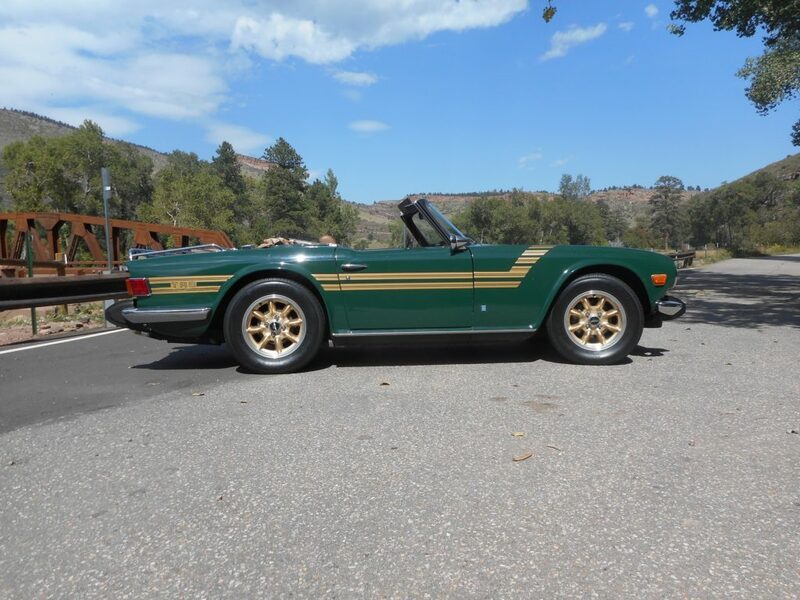 1966 Triumph TR4A IRS For Sale. 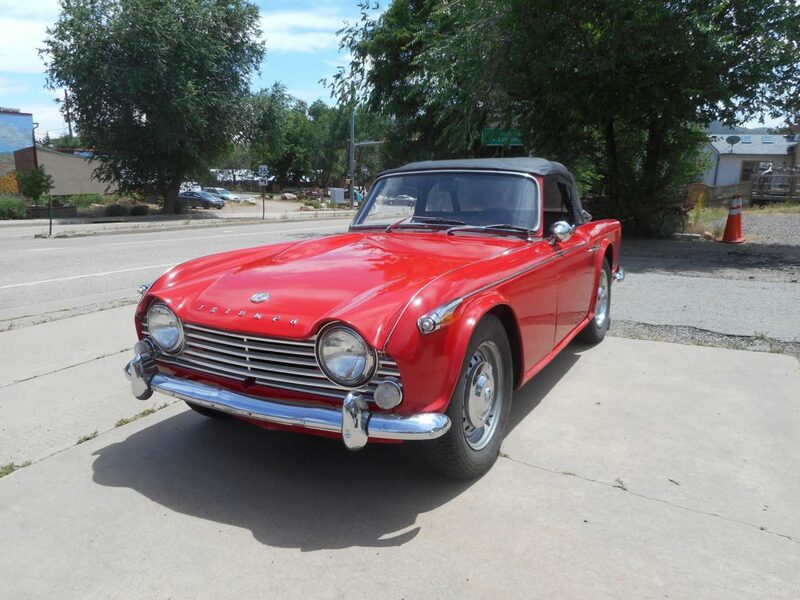 This is Triumph TR4A # CTC57735L. It is an “IRS”, Independent Rear Suspension, car. The car is in very good condition and has been in the care of the same local owner for nearly the past 29 years. The Bill of Sale from that purchase, dated 12/1/1989 from its second owner in Denver CO., is with the car, as are complete service records and parts receipts from that date forward. The original Owners Manual, a official Factory Workshop Manual, and other misc. records, spare bits, etc. are with the car as well. 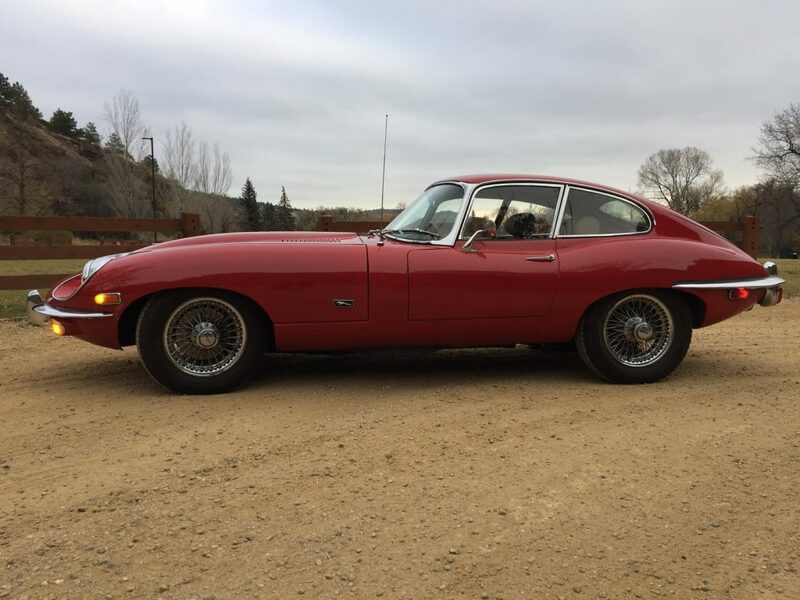 The car was recently gone through & serviced by one of the area’s very best local British car mechanics/shops, Ted Ax of Ax & Allies in Denver. 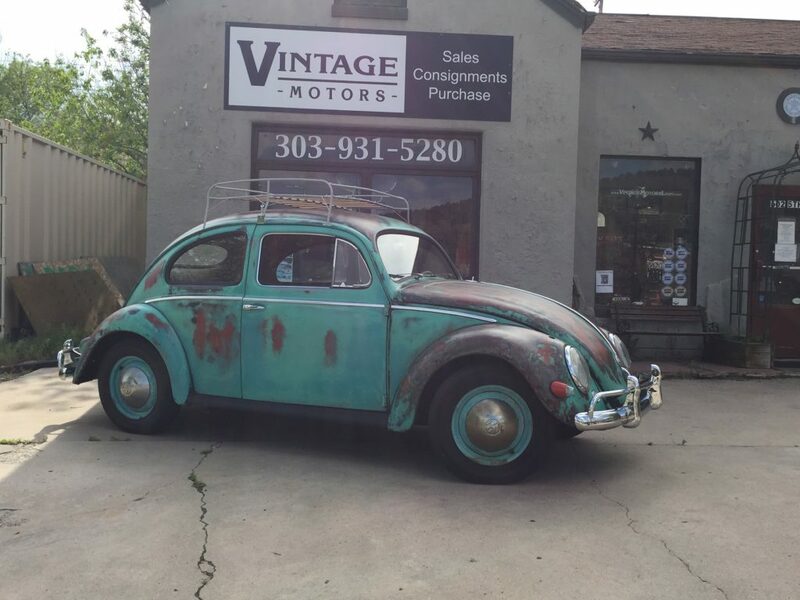 Classic 1956 VW “Oval Window” Beetle For Sale. Very straight, Western car (out of Wyoming) with little to no rust; super clean underneath with new pans; pillars, sills and jambs very good. Right front fender has been replaced. Runs and drives very well; engine freshly rebuilt with new cylinder heads, pistons. rings & valves; rebuilt transmission (has 2nd gear & 3rd gear synchros), new clutch, new brakes (new master and wheel cylinders); new tires. Beautiful new original style interior (seats, headliner, door panels, carpet, cocoa mats, etc. ); original sun shade visors. New rubber moldings, bumpers, tires and roof rack. Intentional patina finish with clear coat (originally dark green). Leave as is or re-paint. Dash and interior of doors, etc. have been re-painted in original color; original dark green paint in trunk and engine compartment. Good Oval Windows are hard to find; plenty of upside in price. One family owned Thing since new (purchased new on August 10, 1973 from Clarke-Hayn Motors in Cuyahoga Falls, OH, copy of original title available)! This Thing was taken down to bare metal, new floor pans installed, etc. ; primed and then repainted it’s original color (see restoration photos below). 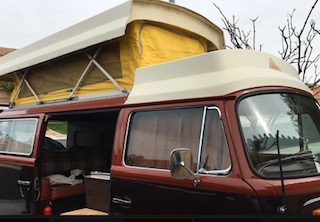 It has a new top, new side windows and floormats; the lights, gauges, wipers, electrical all functioning. It runs, stops, shifts and drives very well.